We are less than a month out before the release of Marvel Studios’ Doctor Strange, and anticipation for the film continues to grow. Earlier this week, Marvel unveiled a 15-minute preview of the film that gave attendees a small look into the MCU’s psychedelic universe. But for those who weren’t able to attend the event, the studio has released a new international trailer to trip out on. Thanks to Comicbook.com for posting the trailer. 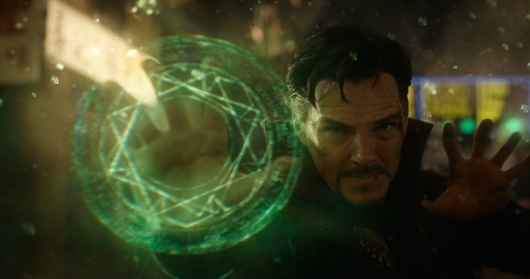 Directed by Scott Derrickson, who wrote the screenplay with C. Robert Cargill, Doctor Strange stars Benedict Cumberbatch, Chiwetel Ejiofor, Rachel McAdams, Michael Stuhlbarg, Mads Mikkelsen, and Tilda Swinton.